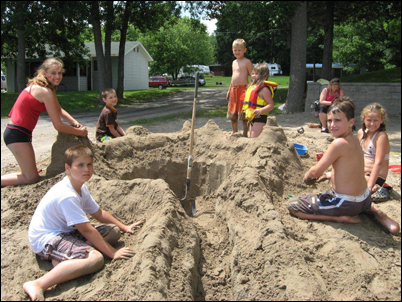 We have a lovely sandy beach with a grassy area above for sitting in the shade. Singleton Lake is a nice quiet lake perfect for paddle boating, kayaking or canoeing. 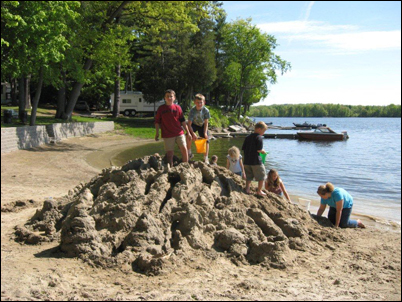 The beach is a perfect place to watch the kids in the water or building a sandcastle. It’s where you can relax and read a book or visit with family and friends. There is a raft where the adults and kids love to jump off of or sunbathe on.